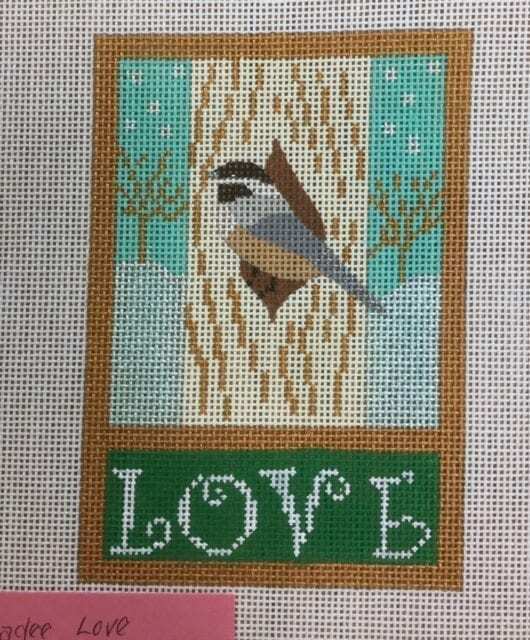 Who doesn’t love a little chickadee bird? Painted on 18 ct. canvas by Eye Candy, the design measures 3-1/2 x 5″. 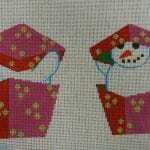 Also see our Merry, Bright and Joy birds in this series.